Copyright (c) 2011, RoLoW. All rights reserved. 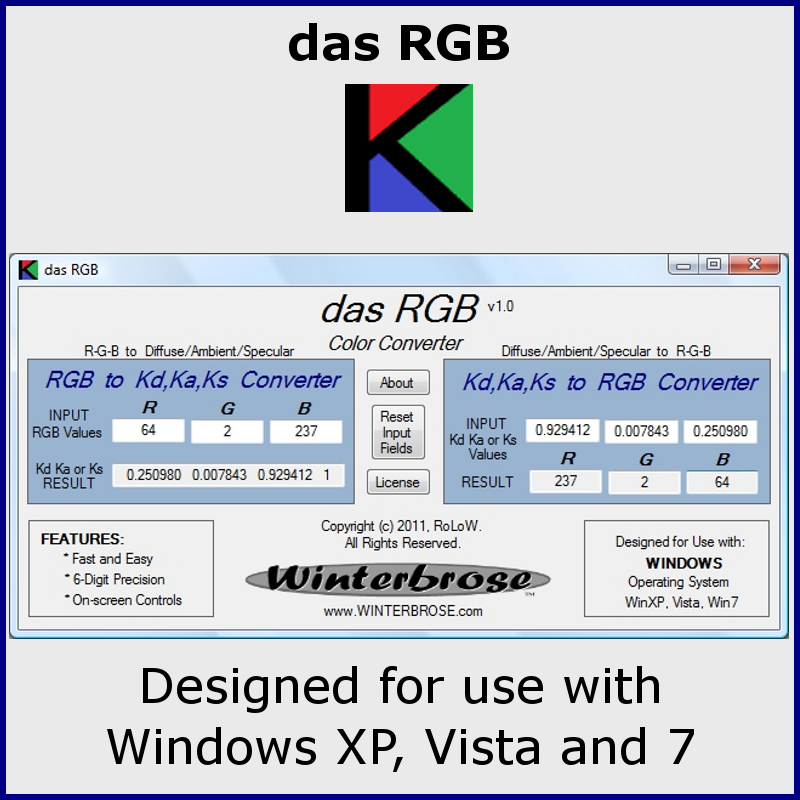 Windows XP, Vista and Windows 7.
das-RGB was developed as a quick and easy way for Poser and Daz Studio users to convert back-and-forth between RGB values and Kd/Ka/Ks values. 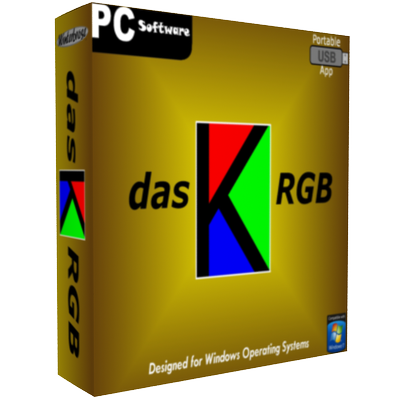 If you haven't already guessed, the title 'das RGB' is a play on words using the Germanic 'das' meaning 'the' as a representation of the symbols for Diffuse (d), Ambient (a), and Specular (s). 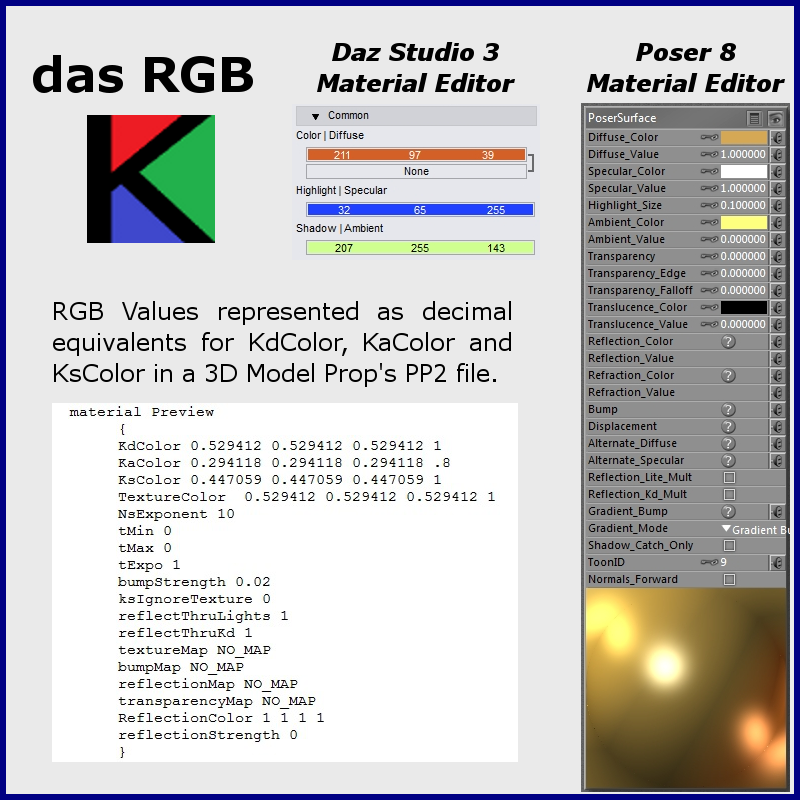 This app is a great addition to any 3d model developer's toolbox! And the best part is that it is completely FREE! Click these links to read the License and/or ReadMe files. This product is so easy to use that no User Guide or Manual is required. If you like this product and would like to make a donation to the creating artist, click the button below & select the "Commercial Use & Donation" version. We hope you enjoy this product.